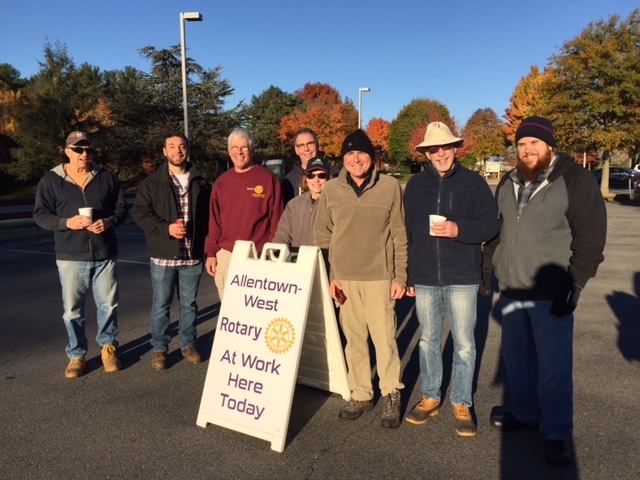 Allentown-West Rotary is a community of friends, working together. We travel and share experiences with other Rotary Clubs. Our Happy Dollars are the happiest dollars you will find! Welcome to Allentown-West Rotary. 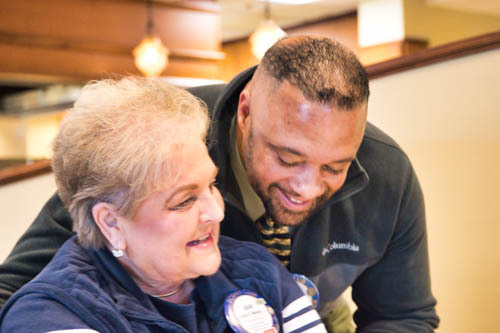 We invite you to learn about Rotary and our club as our guest at a breakfast or Happy Hour. or check our Facebook page for updates. Each month, Allentown-West Rotarians volunteer to restock the shelves at the Kingdom Life Food Center. We are always happy to have more volunteers helping... join us and help to insure our community has a well-stocked and cared for place to come to when they need to add some food items to their shelves. Lowhill Pantry volunteers work twice a month to distribute fresh produce to residents in need. Food insecurity is one of the two major areas of focus for Allentown-West Rotary. The other is youth. 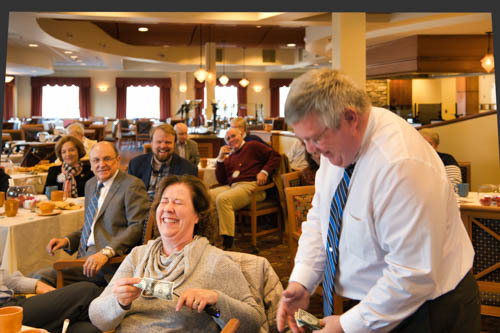 Sixteen AW Rotarians and guests gathered at the Stony Run Inn and Grill in October. Participants enjoyed excellent food and service, and just being with each other. A specially selected menu was offered, in a private room. AW Rotarians plan and operate a 5-County special 5K Run and Fun Walk each year. 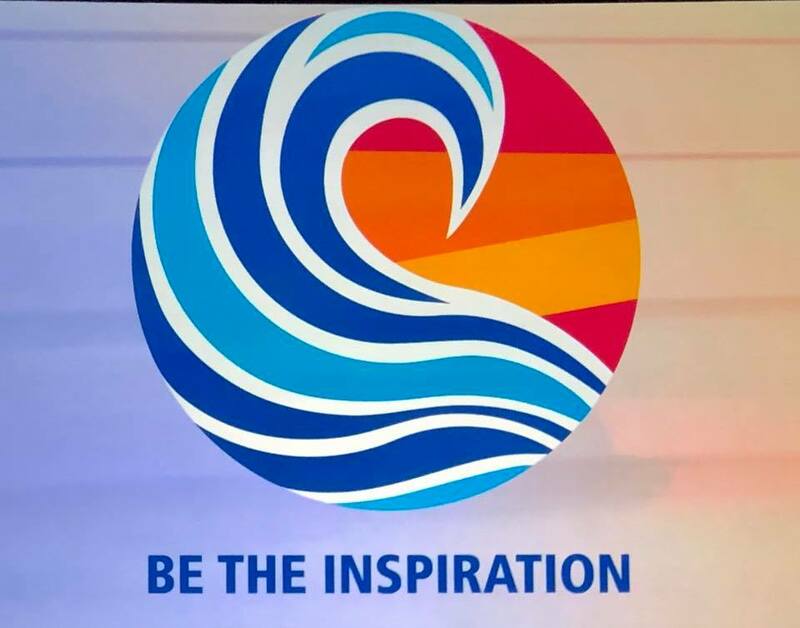 We raise funds for world-wide Rotary’s signature project of eradicating the disease called Polio Myelitis, commonly known as Polio. Since 1985, when we began this project, over 99.99% of new cases have been eliminated through massive vaccinations by Rotarians and partner groups. AW Volunteers distributed bananas, oranges, potatoes, and huge onions on Oct. 6 at the Lowhill Food Pantry. Twenty-five families were served. About 50 AW Rotarians, families and friends celebrated the season with a fabulous dinner party at the Brookside CC in Macungie on Dec. 7th. On Saturday, September 22, AW Rotarians Amir Famili, Diana Dunn, Gary Englehardt and Engineers Without Borders' Chris Hornaman, along with other EWB members, assisted with putting up siding on a house. On Thursday evening September 20, 17 AW Rotarians and guests went to the Mediterranean Café & Grill in Fogelsville to have dinner together. The staff there made us most welcome and provided great service. There were many stories told and lots of laughter, and the food was good. On Friday, Sept. 7, AW Rotarians and families restocked the KLFP shelves. Thanks go to Jean Masiko, Diana Dunn, Ron Coleman, Len Salines and Gail and Ed Micca. She is from Croatia and is the young lady whom our AW Rotarians are hosting for the next school year as part of Rotary’s Youth Exchange Program. Andrea was the highlight of our annual AW RC Picnic on August 19. Nine $1,000 and one $500 scholarships were awarded by AW Rotarians to students of the Northwestern Lehigh and Parkland School Districts at the May 16, 2018 special meeting at LCCC. Awards went to NWL, Parkland, LCTI and LCCC students at this annual event. AWRC members hosted six Rotary couples visiting from Sweden. They were our program on Wednesday, May 2. On April 4, three area High School Freshman students competed with a 5 to 7 minute speech. The Topics were about an ethical issue and how it relates to Rotary’s 4-Way Test. In First place was Tyler Bartman of Parkland H.S. He won some money and moves on to the April 14th Regional contest. The Parkland H.S. Library was the site of the AW meeting on March 28th. We hosted members of the AW sponsored Interact Club and learned about their many service projects past and future. The dance demo by seniors Conner Baker and RJ Corba were the highlight. 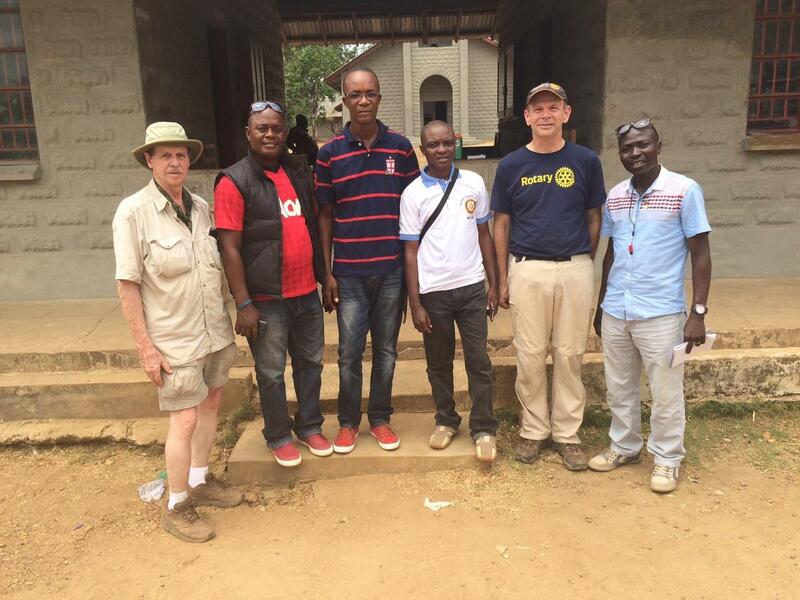 AW Rotarians sponsor a separate group called a Rotary Community Corps. 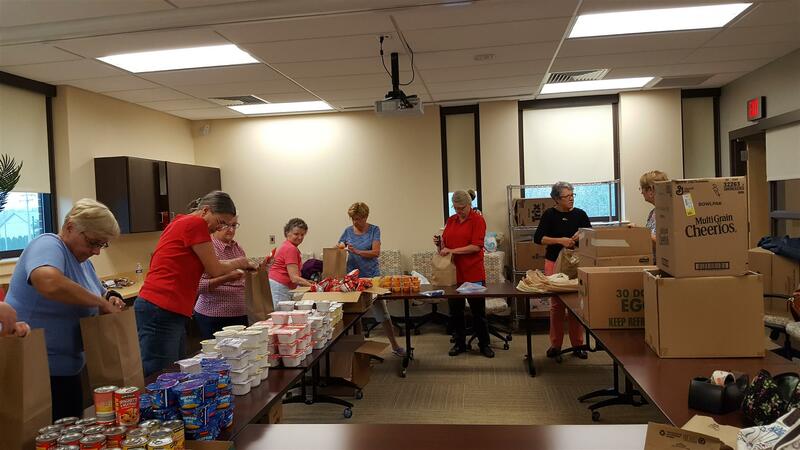 These volunteers do all the work of preparing the weekend Snack Packs for the children of the Northwestern School District. A-W Rotarians and Parkland H.S. student members of the Interact Club we sponsor, met at the H.S. on Monday January 22nd and prepared the food packs for children for the next month. These are the Centennial School students that received their school fees paid for this academic year from the Parkland HS donations. There were 101 scholarships awarded. In the Spring of 2017, the Principal of the Centennial School visited Parkland High School to learn about USA education methods and to talk with the students. As a result, the Parkland High School seniors were inspired to help the Centennial school and set up a “Go Fund Me” account to raise money. Over $16,000 was raised, of which part was used to pay school fees for students in need and for scholarships. 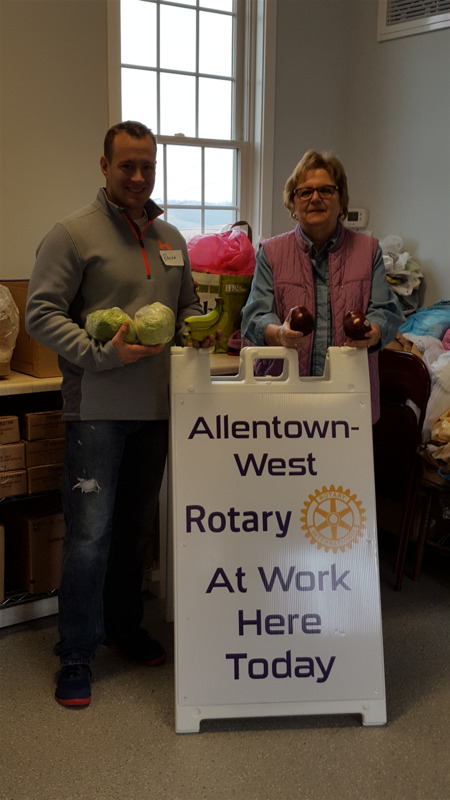 Our team completed the Allentown West Rotary Grant project at Kingdom Life Food Pantry in Orefield on Friday Nov. 10th. We had ten Rotarians and 8 friends volunteering. We emptied the shelves, tore out the old wooden shelving, assembled and erected the new metal shelves, and restocked all the shelves in 2 1/2 hours. It was a well-planned and an excellent team effort. 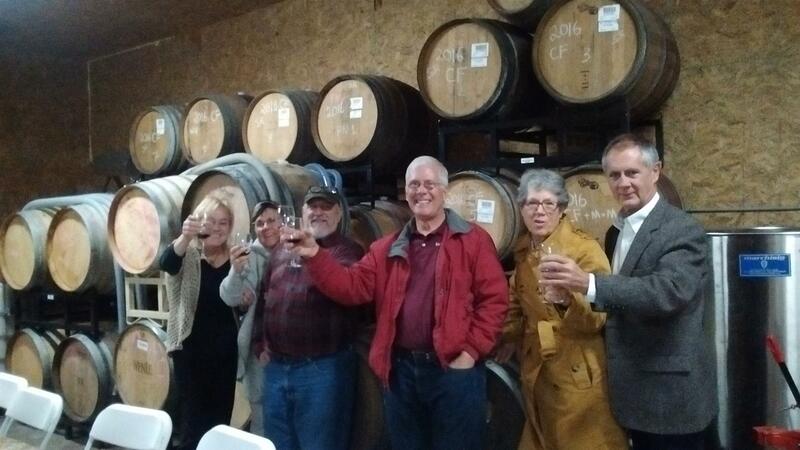 A wonderful evening of wine tasting at Weathered Vineyards near Werley's Corner was enjoyed at our November 9th Happy Hour meeting. Dana Woolley, the owner along with husband Richard, were our hosts. Wine could be bought and there were plenty of cheese and crackers. 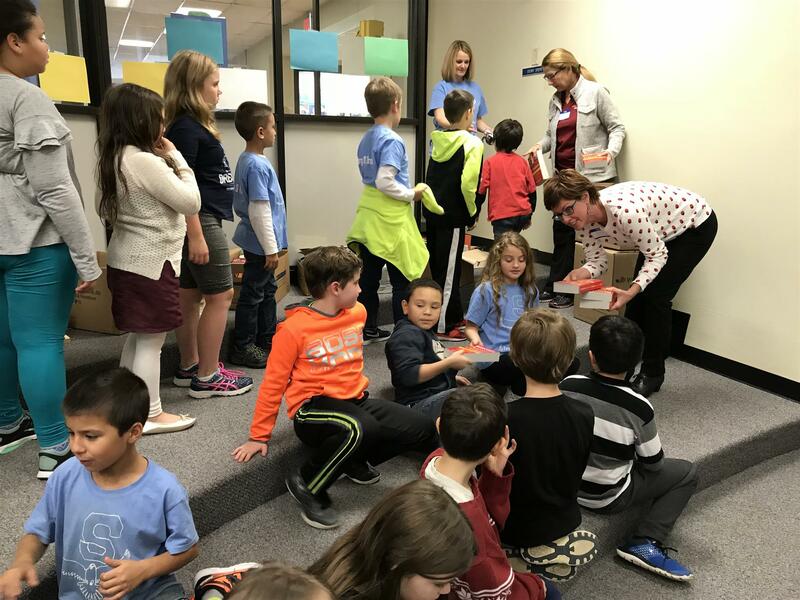 As we do each year, Rotarians passed out about 65 dictionaries to the three 3rd grade classes on Thursday November 9, 2017. The final count is 21 elementary schools in the Northwestern Lehigh, Parkland, and Salisbury School Districts, and about 1,000 dictionaries. Over 20 AW Members and family planned and then executed the 7th annual 5K Race to raise funds to help eradicate Polio disease. 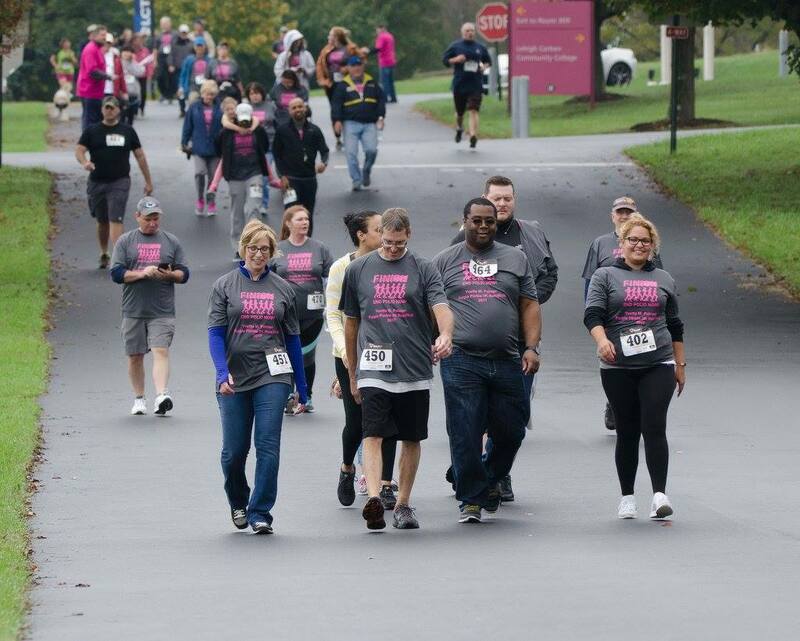 The event held on Saturday October 14th raised over $28,000 from across our 5 County district. The students of the Parkland H.S. 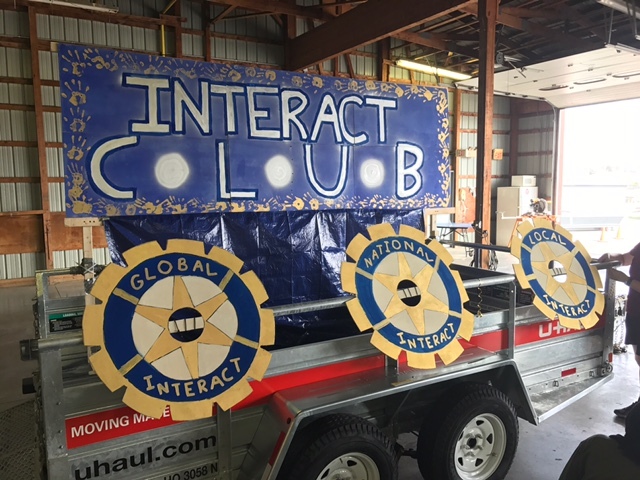 Interact Club created this Float and paraded with it in the October 6th Homecoming. Snack Packing at Northwestern S.D. Allentown West Rotarian volunteers helped on Wednesday, September 13th at Northwestern. We filled (63) snack packs X 2 weeks = 126 snack packs. Some volunteers were out delivering the snack packs in the rain, This is a community project for the students of the Northwestern School district area through the school year. 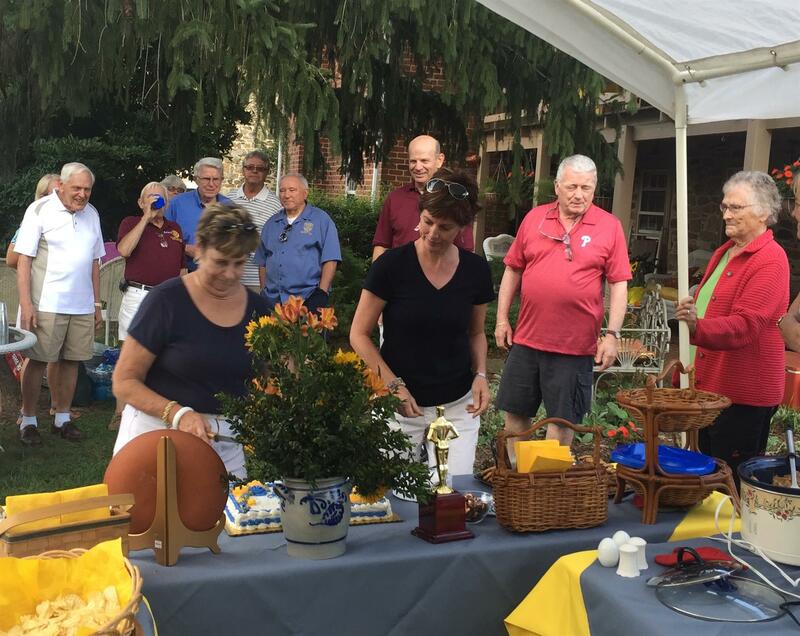 On Sunday August 13th 45 Allentown-West Rotarians and family gathered at the Webers farm and enjoyed great conversations, fabulous food and terrific weather. On Saturday May 20th Brian Peterka led his band of Allentown West Rotarians and friends in the record-setting time of 90 minutes to haul and spread the mulch. They say that the many donuts that came with the coffee were a true incentive. AW Rotarians distributed a $1,000 scholarship check to each of Nine High School seniors on May 17, 2017. 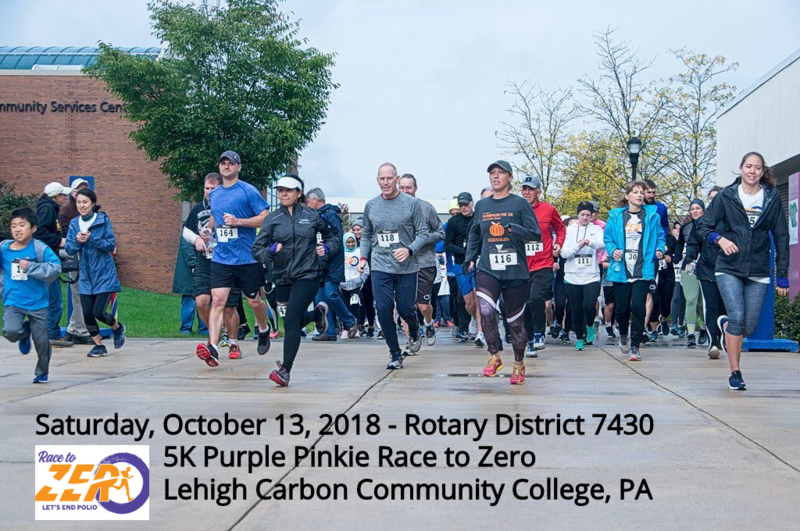 The students are from Northwestern Lehigh, Parkland, Lehigh Carbon Technical Institute, and Lehigh Carbon Community College. 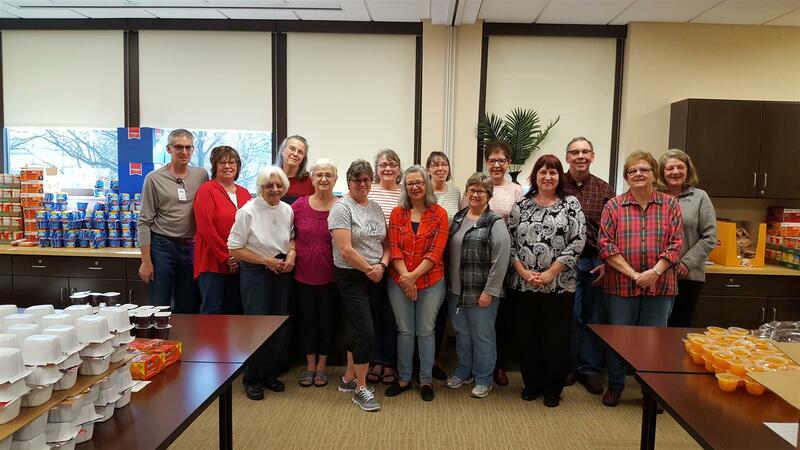 On the evening of March 23rd Eighteen AW Rotarians and friends gathered at the Holiday Inn in Breinigsville to assemble and stuff 500 plastic Easter eggs with candy for distribution to the children at the Miracle League Easter event. About 30 Allentown West Rotarians and guests gathered at Eight Oaks Distillery on the evening of March 9th to meet, eat, talk and drink in a fantastic upbeat atmosphere. The main purpose was to introduce our guest visitors to our Rotary attitudes and activities in order to help determine if they might wish to join us. 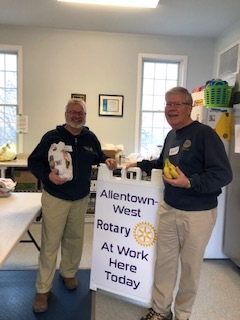 Allentown West Rotarians drove and delivered Meals on Presidents' Day. We provide a holiday for the regular volunteers at least twice each year. 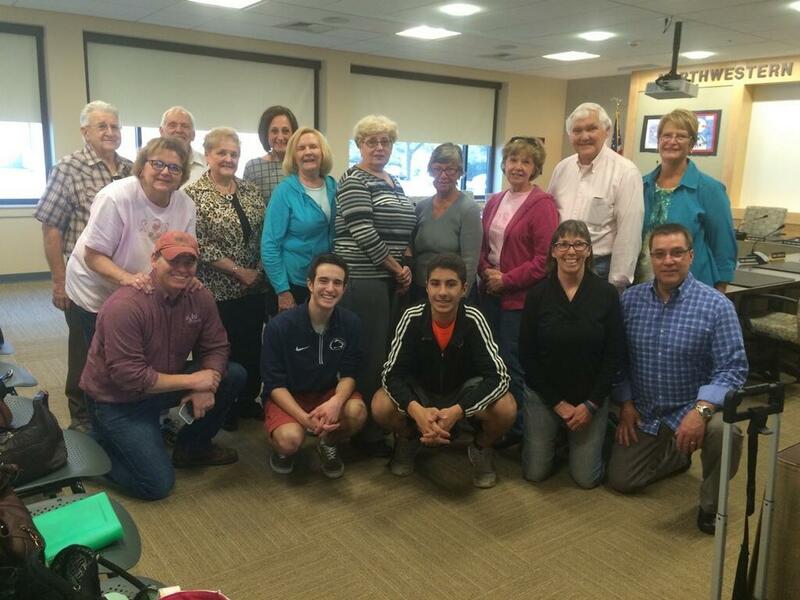 Allentown West Rotarians financed and planned a Rotary Grant that brought two Physical Therapists from The Ukraine to the area for two weeks of specialized training at Good Shepherd. They will start the very first PT program in the Ukraine during September. AW Rotarians continue to volunteer and to financially support the Lowhill Food Pantry. Our members go to local markets each week and purchase fresh produce and take it to the Pantry. On Saturday Nov. 5th Nine hearty AW Rotarians met at Rodale Park to perform our semi-annual chores.that included digging out many plant bulbs and general Fall clean-up. As of Friday March 16, 2016 AW members have taken on additional volunteer work, The photo is from the first time that we helped to fill shelves at the Kingdom Life Family Center Food Pantry. We will volunteer again at the Orefield Food Pantry on Friday, April 8. 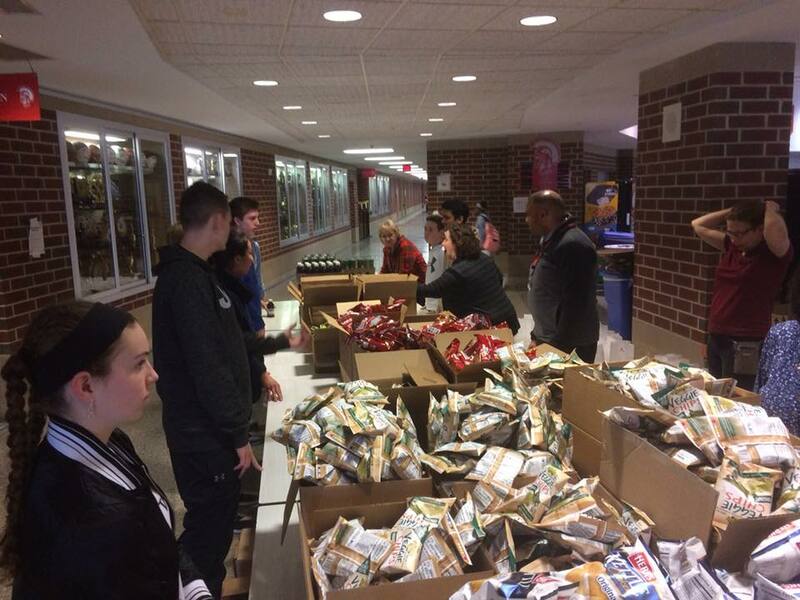 What a great crew we had at the March 9th Snack Packing at Northwestern! Twice each month AW Rotarians and H.S. Interact Club students prepare weekend food items for area children who need them every week. Special thanks to Pastor Candi for delivering the finished boxes to the Weisenberg Elementary School. Thank You all again for helping to make this worthwhile project “happen” this past Wednesday. The annual Rotary District 7430 Youth Leadership Camp (RYLA) Chair is held annually over the Father’s Day weekend at Camp Manatawny in Douglasville with about 150 High School Juniors attending. It starts Friday afternoon and is closed out with a chicken BBQ and ceremonies on Monday evening that are open to families and friends. 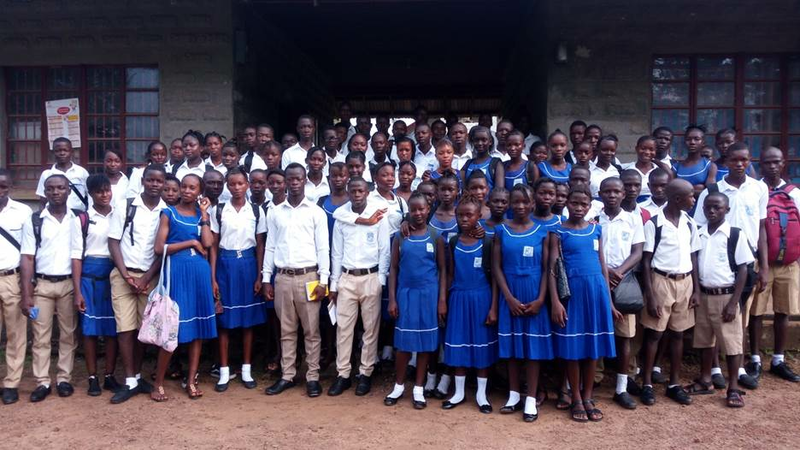 Allwntown West Rotarians sponsored three students to attend , two of whom descrobed their experiences at a recent meeting. They were Cerem Ozcan from Parkland HS and Lauren Fenstermacher from Northwestern Lehigh HS. Cerem began by saying that it was a great experience and she made some great new friends. They start out as complete strangers. Everything that they did had a purpose, and they learned by playing games and solving problems as a team. They were divided into “tribes” and separate group cabins. They learned to accept each other as they are. She thanked us for sending her to the camp. 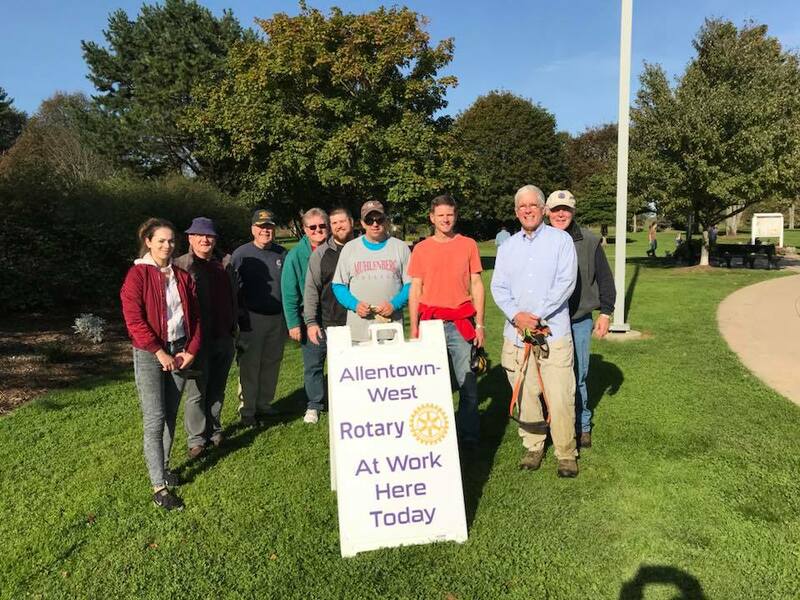 On Saturday morning September 26th a dozen hearty Rotarians from Allentown West Rotary Club again formed a work crew at Ontelaunee Park to make a difference. This time we cut and cleared brush behind the band shell that we maintain for the community. The student members of the Rotary sponsored Interact Club at Northwestern Lehigh H.S. did various fundraisers earlier this year and raised $1,000 in support of the ShelterBox USA disaster relief program. At the August 13th meeting of the Allentown-West Rotary Club Sarah Overstrom, Vice President and Jaedon Muhl, Secretary of the NWL H.S. 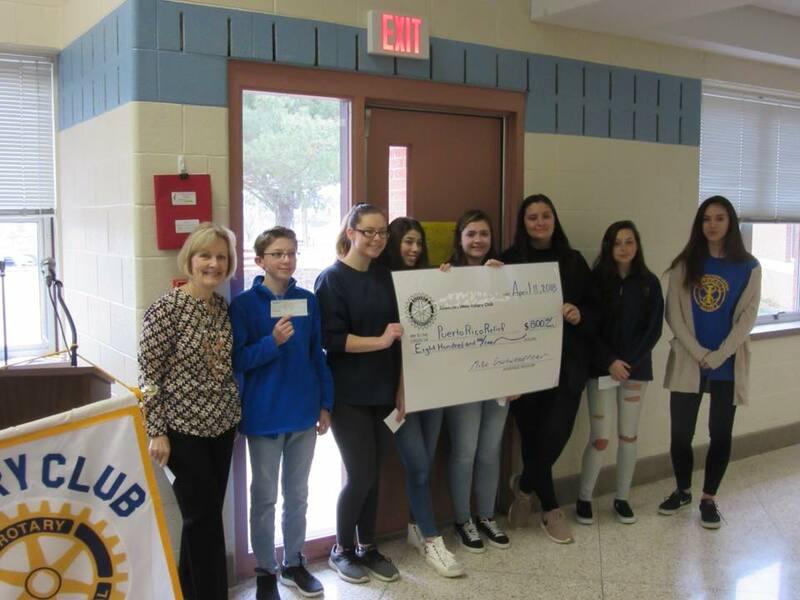 Interact Club presented a check for #1,000 to Allan Syphers, the ShelterBox USA Ambassador for the Rotary five-county district 7430. 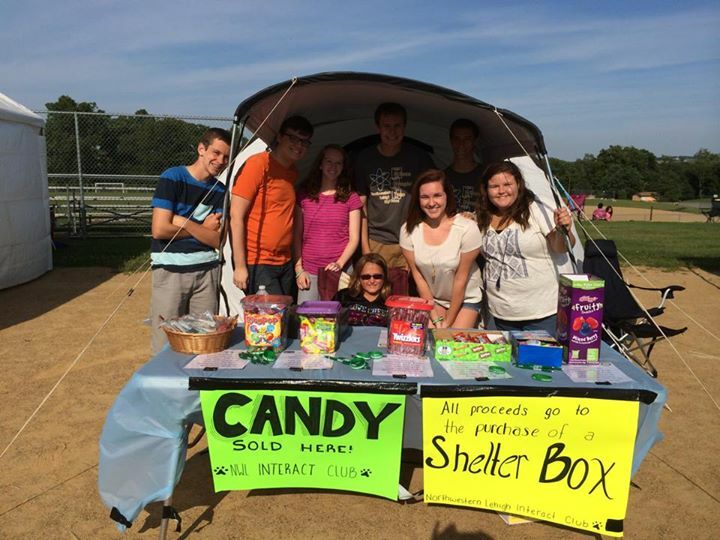 Then on Saturday, August 16, the Allentown West Rotary Club and its Northwestern Lehigh Interact Club students conducted another fundraiser as they sold candy and gave away balloons at "Night in the Country," a community event near New Tripoli. This event allowed them to exhibit a ShelterBox tent to the 15,000 attendees. Proceeds go to buy another ShelterBox. Also the Rotary Club promoted its ongoing “Snack Pack” program that feeds needy children over weekends in the local school districts each year. A single ShelterBox costs $1,000 and the main item in each box is a tent designed to house up to 10 people. In addition there is a range of other survival equipment including thermal blankets and insulated ground sheets, essential in areas where temperatures plummet at nightfall. Where malaria is prevalent, mosquito nets are supplied, as well as life-saving means of water purification. ShelterBox was founded in England in 2000 to provide shelter, warmth and dignity to people affected by disasters around the world. The largest deployment was to Haiti with over 30,000 Boxes. People have been served in over 90 countries and ShelterBox Response Teams (SRT) have arrived within hours following 225 disasters. 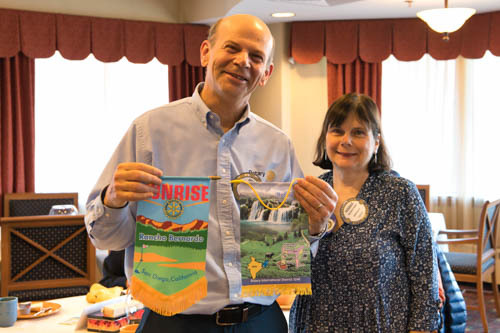 ABOUT LOCAL ROTARY: There are 8 Rotary clubs in the Lehigh Valley with over 400 members; and 44 clubs in the five-county District 7430 with about 1800 members. Each is dedicated to helping others. Rotarians believe in “Service Above Self,” and initiate and implement many projects all year long that address hunger, medical, and educational needs. May 9th at the Holiday Inn at 5:30 P.M. Independence Holiday Day Week Off!